Agrodolce is an Italian sweet and sour dressing, which is flavoured with herbs and garlic. I have seen this used in dishes just with eggplants or zucchini but since I had both in the fridge, thought “why not”! 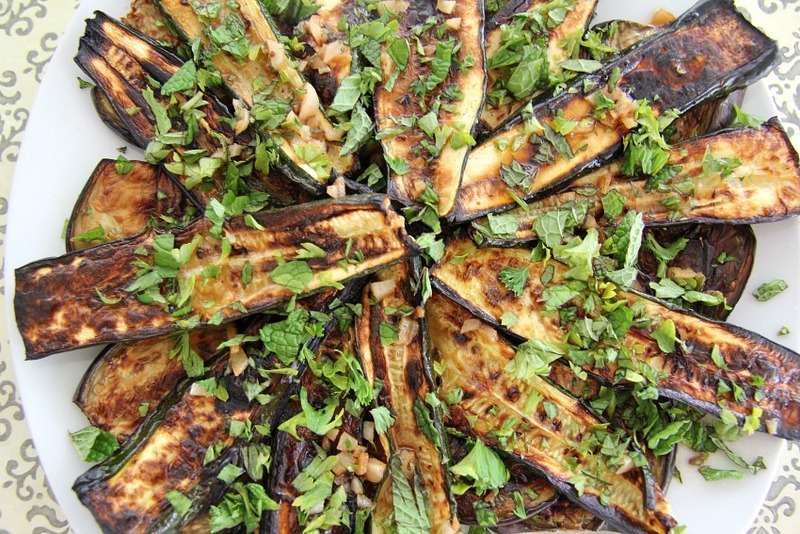 This is a great dish for the barbecue but equally as yummy cooked indoors. The original agrodolce recipe has sugar but I use a sugar replacement to keep it healthy. This is a simple dish for the barbecue too as you can prepare the dressing ahead, cook the vegetables, then toss them in the sauce in front of your guests. Nothing like a bit of effortless showmanship to get the guests hungry! 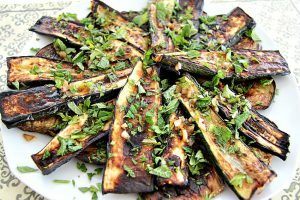 As an aside I sometimes deliberately start cooking a vegetable dish on the barbecue just to set my guests disappointment levels up. Although I am a vegetarian, I still will cook chicken or a hand-made burger for my guests on the coals. Vegetarianism is not something I enforce on others, but my vegetable selections are there to tempt them too. However, the look of horror as I start cooking slices of seasoned butternut squash still makes me giggle as I can see the fear in their eyes that they are up for a plate of vegetables. I am evil and it’s the little things that amuse me! 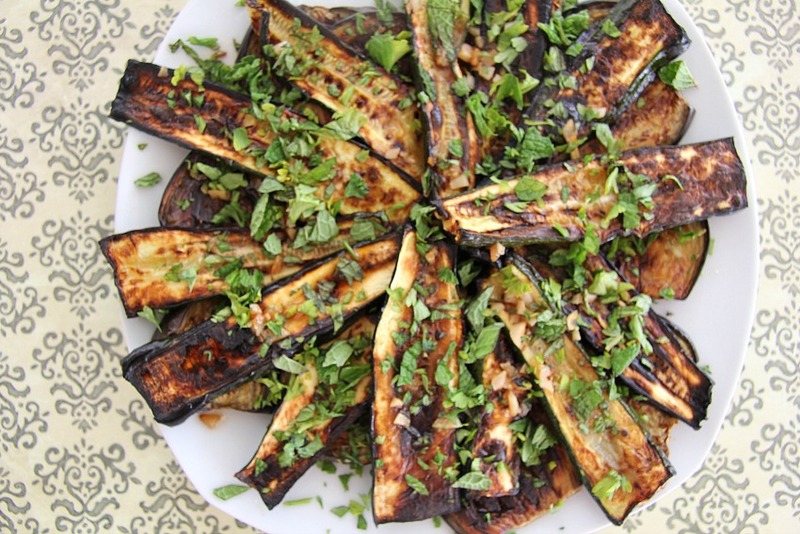 If it is raining and not barbeques weather, this is just as lovely grilled too. If you are a lover of garlic you may want to pop another clove in too. I was tempted but had the Chief Taster muttering about work the next day and having the “garlic sweats” in the office. Better in his office than my home I thought..
You could try this dish with peppers or cherry tomatoes on the vine too. Just cook and slather in the sauce and herbs. The combination of fresh mint and parsley give this dish a refreshing taste, as well as looking appetising! A sprinkling of feta or goats cheese would be a nice lift too! 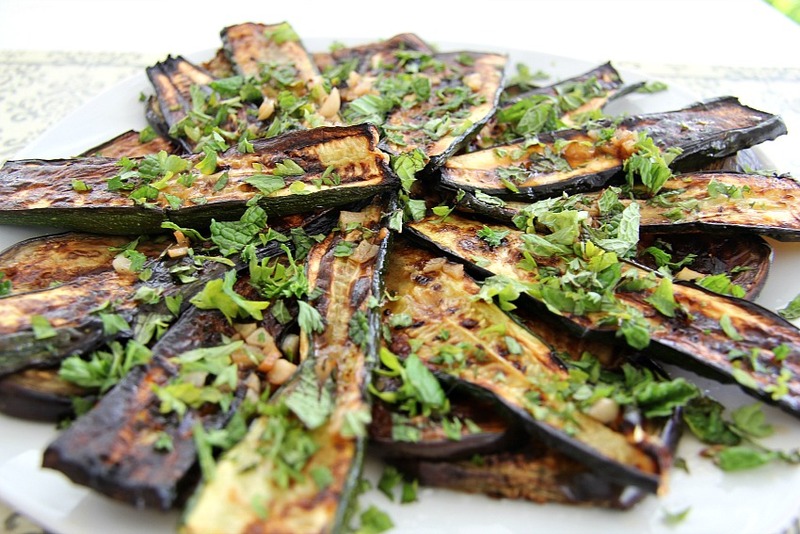 Trim the ends of the eggplants and zucchini, then cut into 1cm thick slices lengthways. Brush both sides of the slices with half of the olive oil. Season with the salt and pepper. 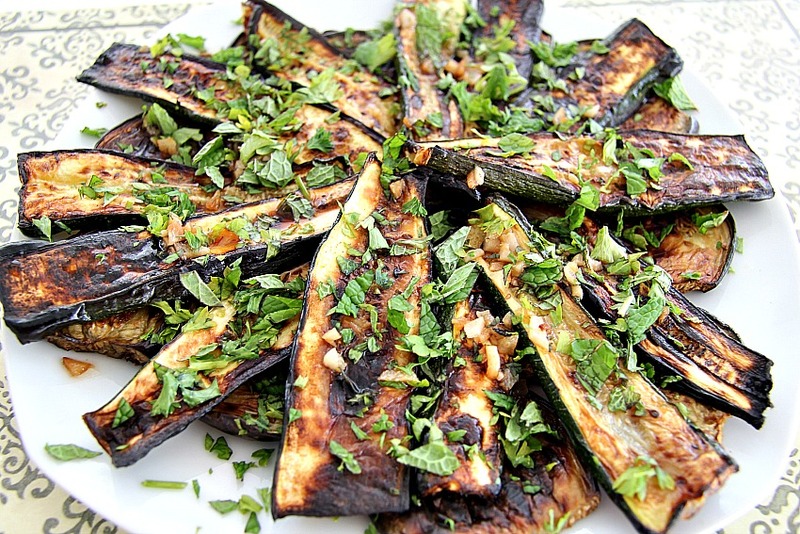 Fire up the bbq or a griddle pan and cook the eggplant and zucchini, turning once until they are golden on each side. 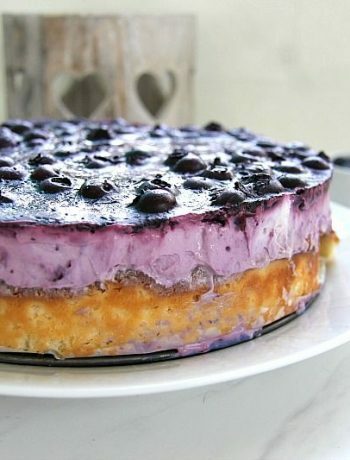 Place the slices in a serving dish. Heat the remaining olive oil in a small pan and add the garlic. Fry until it is golden. Add the erthyritol and red wine vinegar, bring to the boil, then pour over the vegetables. Scatter the mint and parsley over the vegetables. I like it!! And I like your sense of humour ???? hee hee! Glad it’s not just me!